Instead of reporting on the number of jobs “saved or created,” a bogus term from the very beginning, Recovery.gov will now merely track how many jobs have been funded by stimulus money, regardless of whether they were created by the stimulus or had already existed. These new changes will remove even the slightest thread of accountability from the stimulus, which was supposed to be accompanied with unprecedented transparency through the website Recovery.gov. 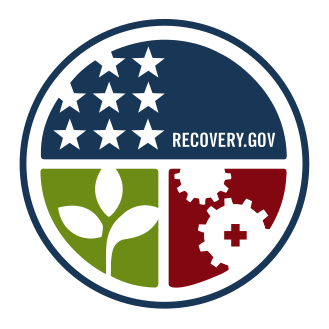 Instead, as CNN points out, “Now we’ll never know just how many jobs were funded by the $787 billion stimulus program.” The only things we can be sure of are that the Recovery.gov website cost $20 million to revamp and the above logo represents One Trillion Dollars of our money wasted. President Obama originally promised that the stimulus would be responsible for “generating or saving three to four million new jobs” by the end of 2010, a point reiterated by the chairwoman of the President’s Council of Economic Advisers this past September. But now it’s impossible to know how many jobs have been funded by the stimulus, rendering the jobs claim yet another broken promise to American taxpayers.